Part 1 - Why Do We Need VLC Codecs? Have you ever encountered the problem that videos and audios downloaded from internet or shared by friends can’t be successfully played on your media players? Do you know why? Actually, such a situation is usually caused by the lack of corresponding video and audio codecs. VLC, as a popular free open source software, is not only popular for its support of various platforms, like Windows, Mac, Linux, etc. The most favorable feature of VLC is that it enables to smoothly play the majority of media formats including some less popular formats. In terms of VLC Media Player, it is equipped with abundant VLC codecs which support to play nearly all the mainstream video and audio files. Therefore, many users are wondering whether they are able to download VLC codecs pack to arm their favorite media players. 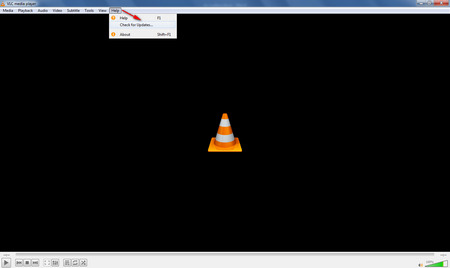 Next, follow the below tutorial to learn how to download, install and update VLC video codec. 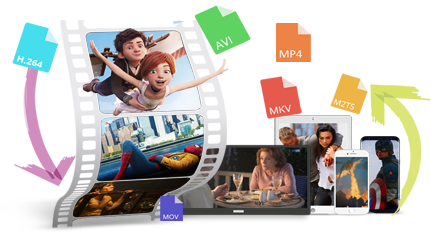 Free HD Video Converter Factory is equipped with rich built-in codecs which enables to easily convert video and audio files to 300+ formats and devices so that you are able to play your media files on various players and devices. Part 2 - VLC Codec Download, Is It Safe to Download and Install? In fact, the VLC Media Player doesn’t officially release any VLC codec pack download! The VLC codecs pack you searched and found in the search engines are made and uploaded by some people. And actually, most of such personal made download pack contains adware or stubborn toolbar. It is true that such packs are enriched with many codecs, but we also have to pay attention that these personal made VLC code pack may be conflicted and incompatible with other media players and programs as well! From my point of view, in order to circumvent the unknown risks, it is better not to download and install any so-called VLC codec pack. If it is your urgent need, here gives you some pack alternatives like K-Lite Codec Pack or CCCP (Combined Community Codec Pack). But you’d better download these recommended pack from the official sites too! There’s no doubt that the best method to download trustworthy, clean and safer VLC codecs is to download and install VLC Media Player directly. When you have installed VLC Media Player, all the codecs have successfully installed at the same time. And you don’t need to download any code pack for VLC again! What’s more, if new codecs are updated, it will be released with the new VLC version. Next, follow the below to learn the tutorial of VLC codec update. Here gives you 2 methods for VLC codec update without any hassle! Method 1 – Go to VLC Media Player official site: https://www.videolan.org/vlc/index.html to download the latest version, then install and cover over your old installation. Method 2 – If you are still using old version of VLC, click “Help” on the menu bar > “Check for Updates”. Here also introduces a free video and audio transcoding tool for you. 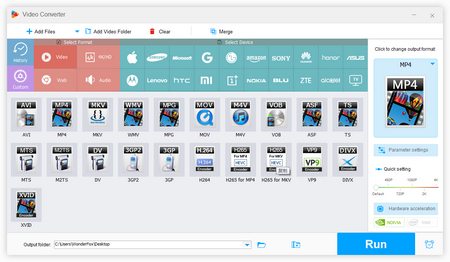 Free HD Video Converter Factory is a good helper for video and audio transcoding which has abundant built-in codecs. With it, you can convert your various awkward video and audio files to the common formats which are supported by most devices and players. 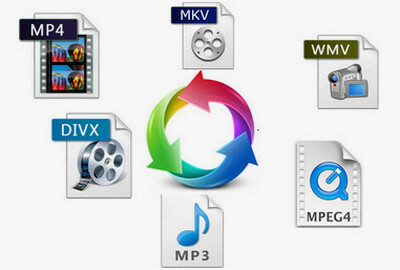 For example, it enables to convert H264 to AVI, MP4 to DivX, etc. All in all, apart from downloading VLC codec pack, using a reliable and functional video/audio transcoding program to convert video and audio files to various formats for smoothly playback on your devices and players is a good alternative as well. HD Video Converter Factory Pro supports to batch convert your video and audio files to 300 + formats and devices with 30X speed up conversion. It also enables to add subtitles, trim videos, download 4k video from YouTube, etc.